Well christmas is around the corner; We have made an effort to put together some hideous selection of 15 ugliest sweaters of all time. Let us know what you think. Share your comments below. Below are some other inspirations from around the web; Which is your favorite? 15) We wanted to start off the list with a show stopper. 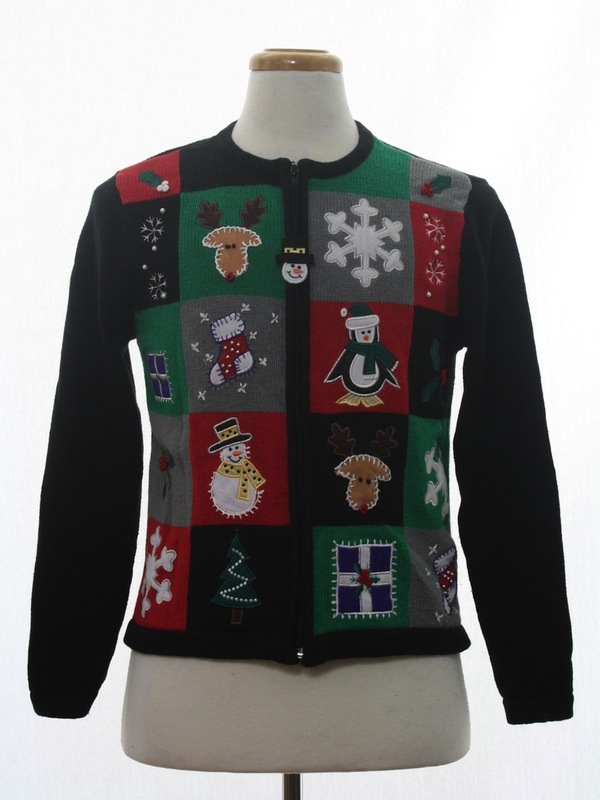 This sweater is arguably one of the most atrocious garments we’ve ever encountered; with a full fringe and pop-out jingle bells on the chest, this sweater will make you either the life of the party or the laughing stock. We can’t be sure. 14) Because nothing quite encompasses the holiday spirit like Rudolph. 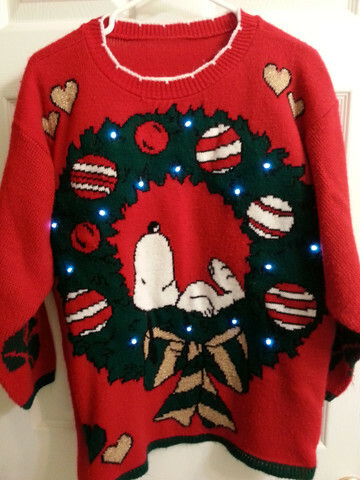 Not only is this sweater hideous, it has a built in light fixture—Rudolph’s nose actually lights up red. Impressive, we think so. 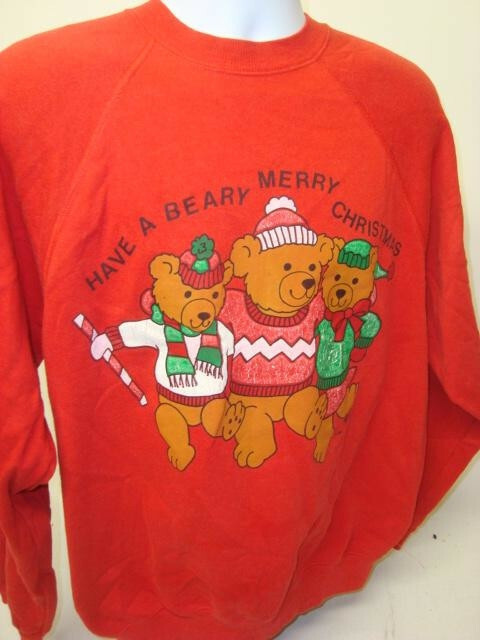 13) This sweater from the 80’s is truly something to behold, complete with multicolored Christmas trees and color blocking, you’ll be sure to stop traffic. 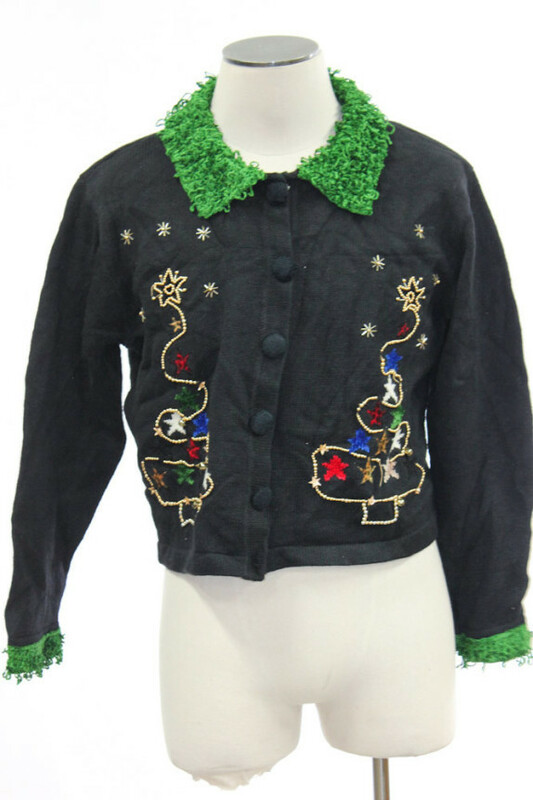 12) This sweater is another strong contender for ugliest we’ve ever seen, black with embroidered (what we assume is) Christmas tree detailing, with a bright green trim and collar. Wonderful. 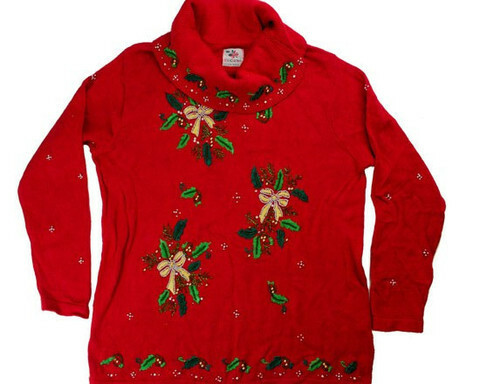 11) Looking for something a little more… original to wear to the Christmas party? We’ve got you covered. I can honestly say that I have never seen a Christmas sweater with a beach theme before. 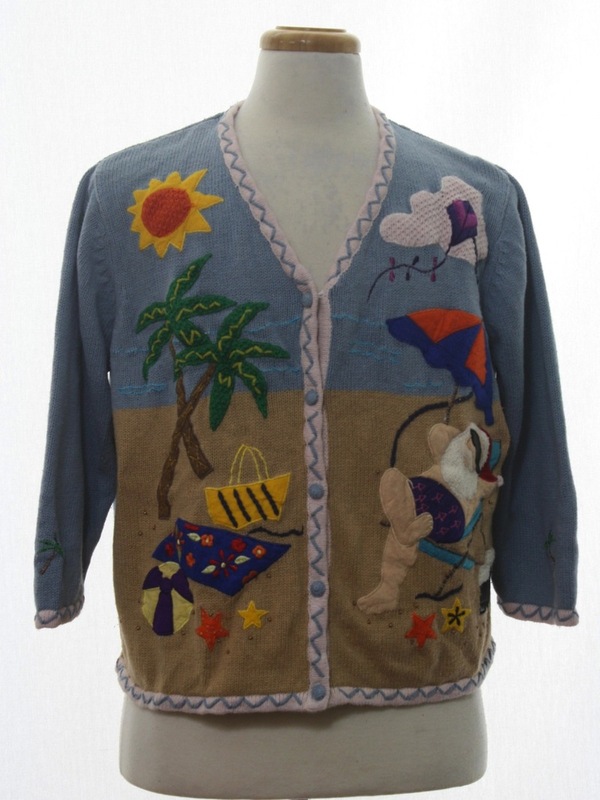 Featuring Santa laying out on the beach donning purple swim trunks, this sweater will surely evoke awe, envy, and a level of confusion from anyone who lays eyes on it. 10) Retro. Very Retro Even includes a pair of shoulder pads. You want something classically ugly, look no further. 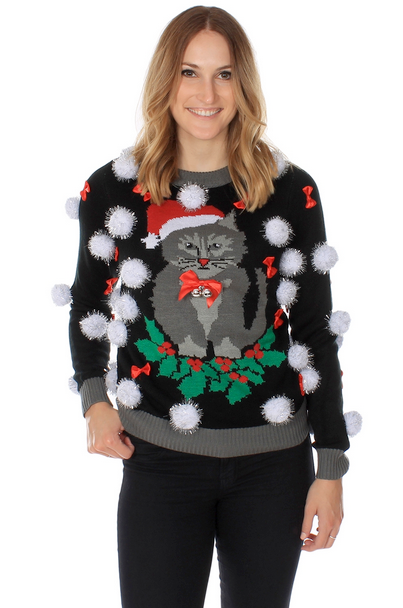 9) The Christmas sweater for the cat fanatic, and would you look at those pom-poms. 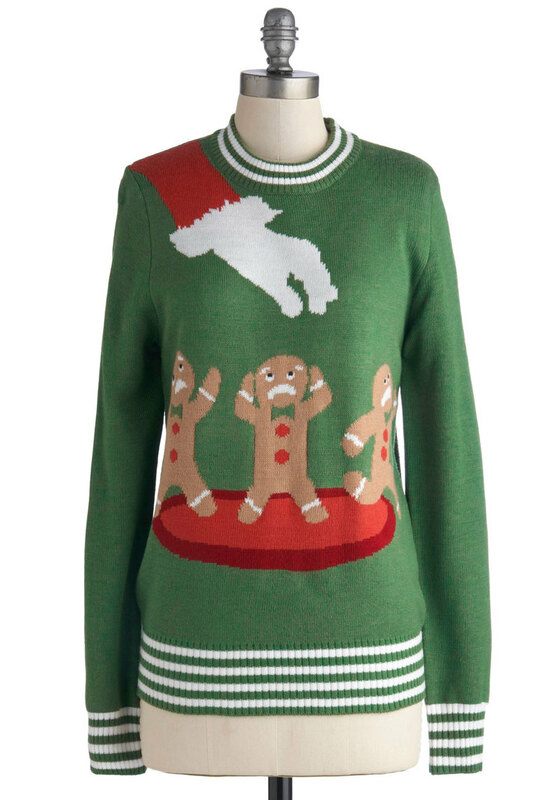 This could easily become a fan favorite; this sweater is so ugly that it’s borderline cute. Aww is all we have to say. 8) Ugly, but with a touch of humor. Just how we like our Christmas sweaters. The look of despair on those gingerbread men’s faces only adds fuel to the fire of our holiday spirit. 6) Ugly and adorable. The one-two punch. Have a beary merry Christmas everyone. 5) We knew that this list of ugly Christmas was missing something; that something being Walt Disney magic. 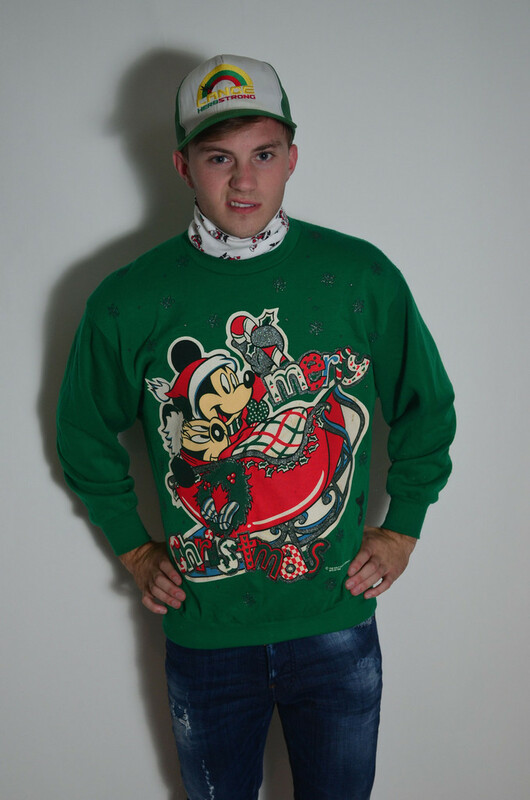 Wearing Mickey and Minnie you’re sure to have a good time at the Christmas party, just look at the model’s face, you can tell he’s brimming with holiday spirit. 4) Both hideous and pop-culture relevant. 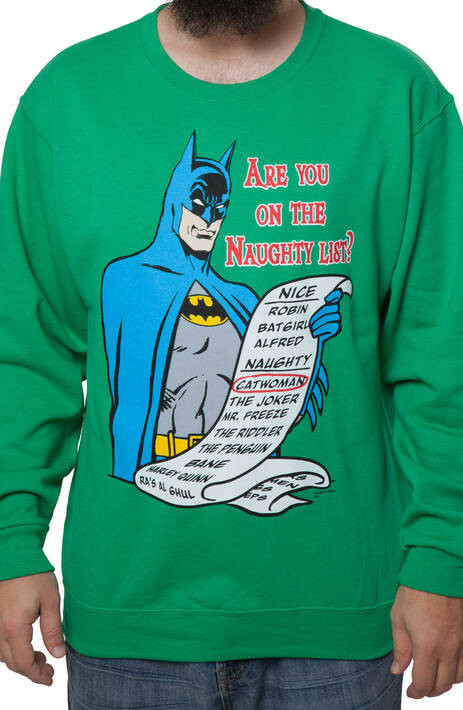 I don’t know Batman, have I been naughty? 3) The dreaded turtle neck. Just looking at it makes me itch. 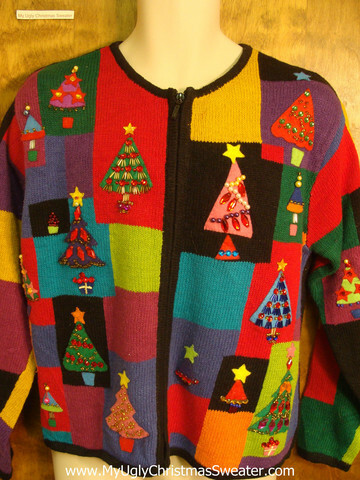 If you’re a fan of beadwork and uncomfortable nights by the fire, we’ve found the ugly sweater for you. 2) Ugly, and straight from the 90’s. Who doesn’t love patchwork? 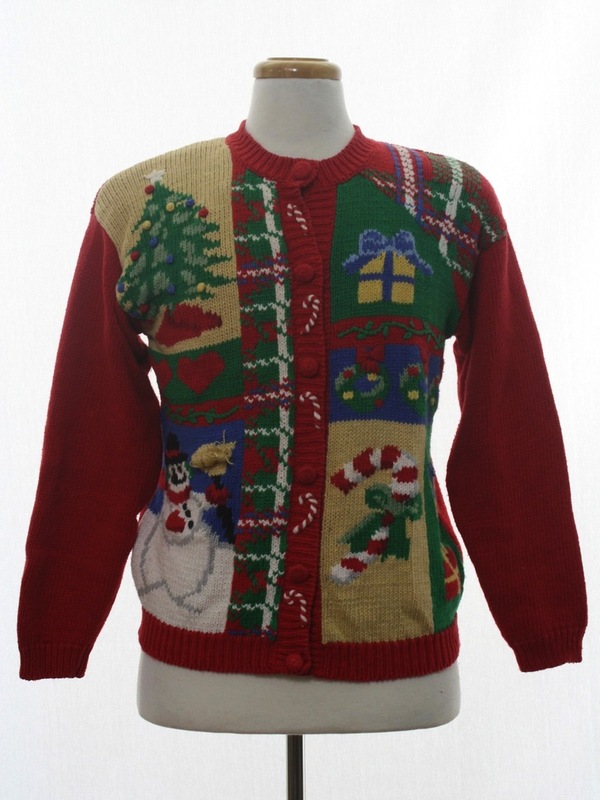 1) The pinnacle of ugly Christmas sweater-dom. 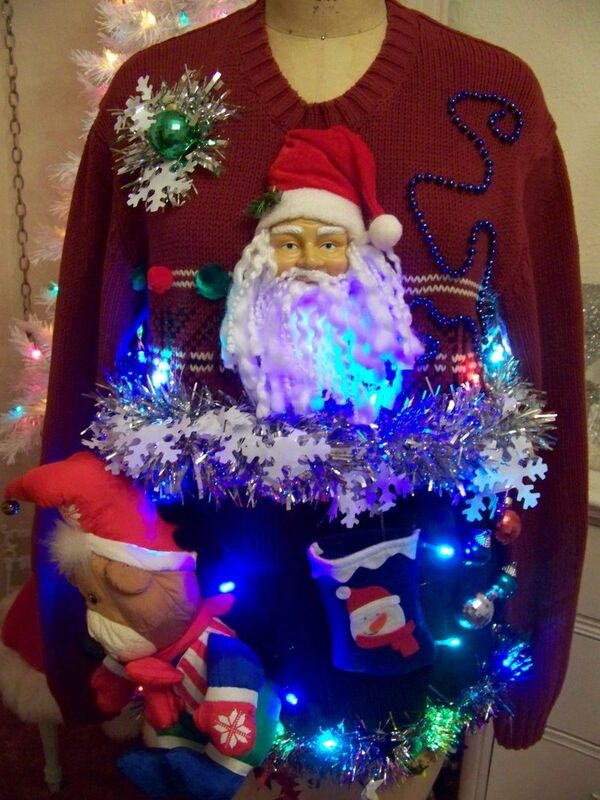 This sweater has everything you could possibly want: glitz, lights, felt, a huge Santa head, you name it. A clear winner.